I have just returned from a short weekend trip away with Ellis and the Stokke Scoot. It is the perfect foldable stroller and, whilst not lightweight, the ease and speed with which I can fold it at the terminal gate before boarding the plane and the comfort that it offers Ellis makes it the only stroller I would ever consider for trips where our Stokke Xplory is either too precious or too bulky for the ride. 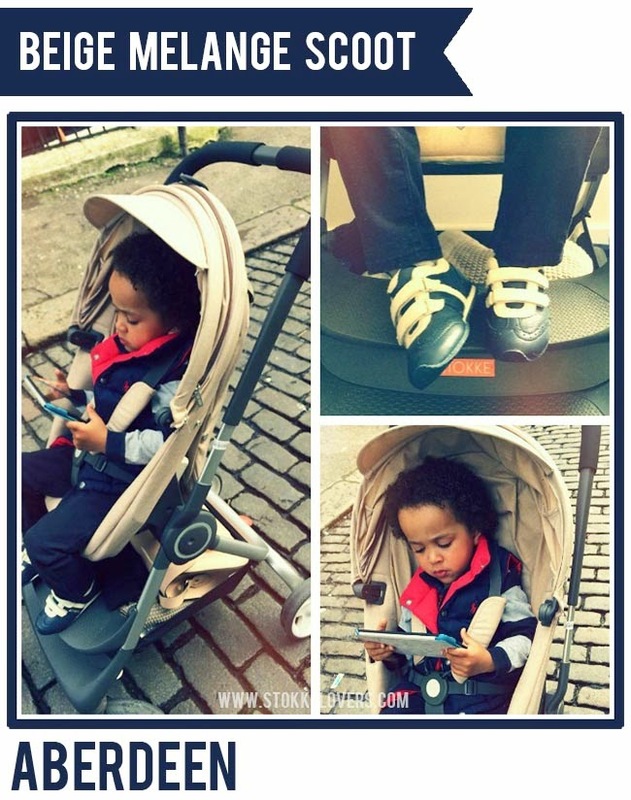 In terms of comfort, as you will see, the footrest is the perfect height and the seat offers the ideal depth resulting in optimum comfort for a gadget savvy toddler on the go.